I’ve had so many conversations with adult friends and colleagues during 2017 that reflected concerns about deep divisions within our country, our state, and our city. Many people have felt a lack of hope. In these challenging times, my greatest source for hope is rooted in the insights, empathy, and creativity of our young people around the country and particularly our youth leaders at Alternatives. 87% of young people at Alternatives report improving at getting along with others who are different from themselves. Alternatives works to create opportunities for young people to think critically about their environments, explore their identities, try new things, and learn from both their successes and failures. When provided with support and leadership opportunities, youth are more likely to build the skills and confidence they need to succeed. Creating these opportunities for our young people today will help ensure a better future for all of us. 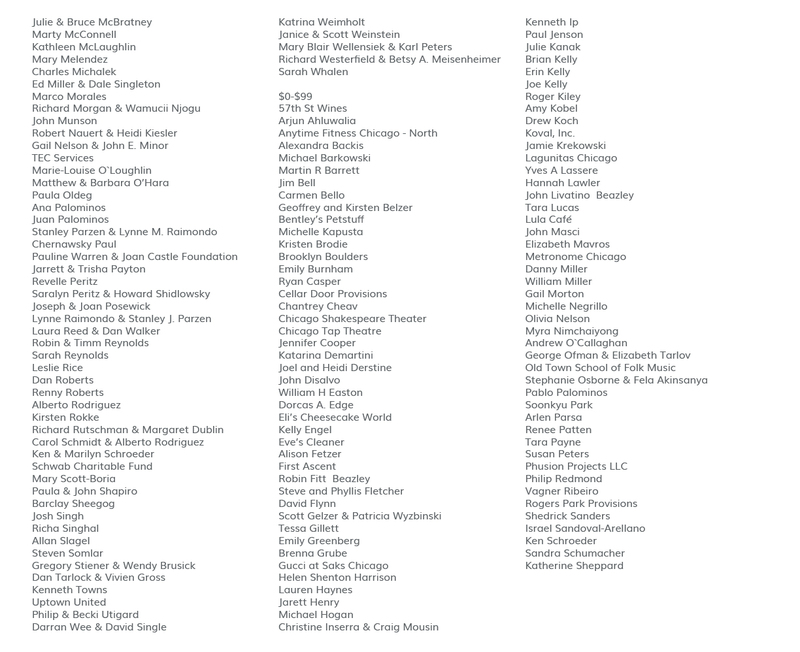 Alternatives’ programs and services have a long-term impact through our young people. We know this anecdotally from young people as they grow up in the programs, and we can see it in our program evaluations — 82% feel more confident about their abilities than before participating in the program. We have included multiple stories and program spotlights in this report that highlight the importance of Alternatives’ youth-led approach in working with young people. I’m happy to be able to share these with you because I know they will give you the same feelings of optimism that they do for me. School-based health centers are a powerful, uniquely-positioned resource that provides behavioral health services to youth who would otherwise lack access to the care they need and deserve. Alternatives continues to advocate for the sustainable expansion of these services, and youth testimonies often make the most powerful argument. In April 2017, students who work with our therapists at Senn and Roosevelt High Schools’ health centers traveled to Springfield to share their voice in EverThrive’s annual Youth Advocacy Day. Students had the chance to advocate that legislators increase funding and support for school-based health centers and other critical services for youth. Students from Roosevelt had the opportunity to speak with Rep. Jaime Andrade, Jr. from District 40 about the positive impact the services they received through the health center had on them, and penned a letter to Governor Rauner imploring him to support increased funding for behavioral health services. Many students reported that they felt inspired to make a difference and appreciated the opportunity to connect with other young leaders. Even more exciting: HB3709 was passed by both houses and signed by Governor Rauner, removing barriers to counseling services for at-risk youth. This important bill went into effect on January 1, 2018! At Phillips High School, participants in Girl World and MAVReC (Men Against Violence Research Collaborative) came together to discuss the strengths and needs of their communities. These discussions resulted in a youth-focused resource guide and a community action plan for the Chicago communities of Douglas, Oakland, Fuller Park, Kenwood, Washington Park, Hyde Park, and Woodlawn. Participants expressed feeling like there was a lack of investment in their neighborhoods and set out on a community scanning project to demonstrate the number of vacant lots in the area. Youth took an active role identifying the lots and also discussed what it meant for their safety and sense of belonging in their communities. Through this process, they also developed a Youth Resource Guide that is now available on the Alternatives website at www.alternativesyouth.org/youth-resource-guide. It includes a wide range of programs and essential services. 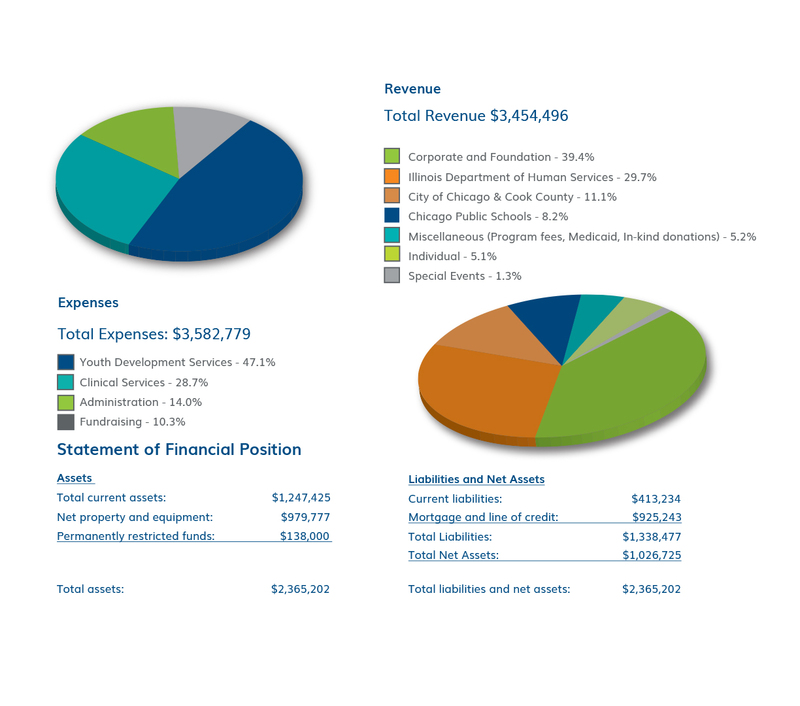 To disseminate this information, they also helped design palm cards which include links to the resource guide along with several important hotlines for Chicago’s young people. Next, they engaged in an ideal community brainstorm session, and identified primary needs such as safe spaces, educational programs, and employment opportunities. These ideas culminated in a Community Action Plan that included creative proposals for intergenerational service projects aimed at building stronger relationships while beautifying our neighborhoods. Alternatives staff are working with young people to put these plans into action. Alternatives’ Restorative Justice team organized its largest summer training program yet, the Peace Ambassador RJAM, with approximately 60 young people at three different sites. When musicians get together to “jam,” they get to share their unique skills and knowledge, as well as learn from the other musicians. In a similar way, the Peace Ambassador RJAM facilitated dialogue, sharing circles, inspiring guest speakers, ceremony, live music, artistic expression, games, movement, participant-led workshops, gardening, and community volunteer opportunities. Young people and staff spent time building community, going deeper into learning and understanding restorative justice, holistic health, sharing places of growth and struggle, and co-creating inspiration and vision. of social and emotional skills, confidence, and knowledge that will empower them to make strong connections between what they learn and how they can improve their schools and communities. The program included weekly trips to local community gardens where the Peace Ambassadors supported their neighbors and learned about planting and nutrition. Additionally, they went on weekly fieldtrips to destinations like the National Museum of Mexican Art, the Chicago Botanical Gardens, Chinatown, and Navy Pier. Each trip facilitated team building and included opportunities to practice the restorative justice knowledge and skills learned. As they are learning about the importance of empowering their communities through the social justice context of community-building, the Peace Ambassadors led two Harambees. Harambee means “Let us all pull together” in Swahili. The Harambee philosophy pulls the community together along with their assets and resources to implement community development. The first mid-summer Harambee was a “Teach In” where guest speakers shared their knowledge about important topics identified by our young people as themes that impact their daily lives. The end of summer Harambee was an opportunity for Peace Ambassadors to teach each other and their peers in circle formation all of what they were able to learn throughout the Peace Ambassador RJAM. This event was a powerful opportunity for them to reflect on their journey as Peace Ambassadors, increase the knowledge and skills they were taught throughout the summer, and then apply it by teaching their peers and other community members. As we spotlight the important role of youth voice and youth leadership in our programs, two consistent core commitments throughout our history, we felt it was important to ask a young person in our programs to share thoughts on these topics as well. Alternatives caught up with one youth participant, Audrey Lashley, who has participated in multiple programs. 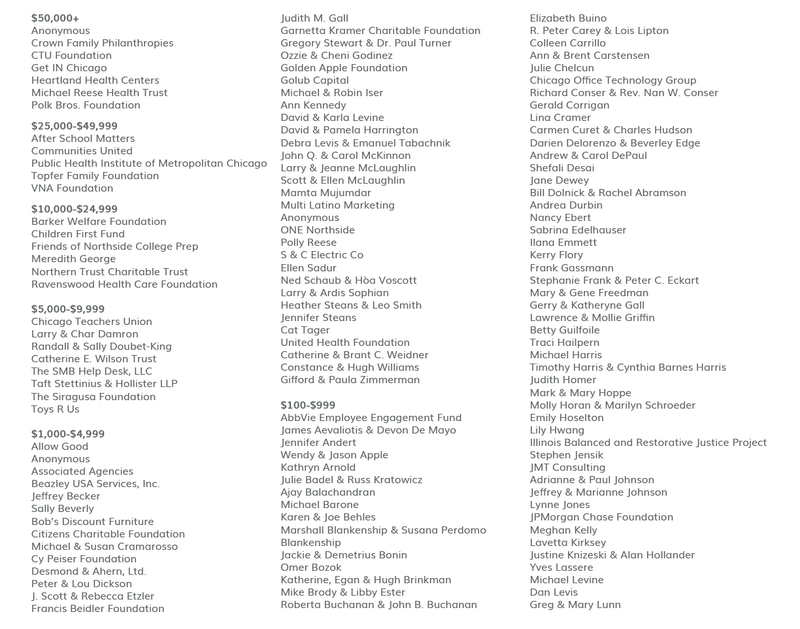 How long have you been coming to Alternatives and which programs have you participated in? We wanted to include you in this report because multiple staff members said they think of you as a leader in the program. Why do you think that is? Responsibility. It takes a lot of responsibility to become a leader. What do you think is the most important thing you’ve learned or experienced at Alternatives? What do you think most adults don’t understand about teenagers? That they can do things. Because some adults think, like, since we’re teenagers and we’re young, we do the wrong things or we do foolish things, but if they give us a chance to show them different, you know, we can change their mind. Why do you think it is important for young people to take on leadership? Because they can change the world. And people change the world by their actions. And, you know, it’s like a cycle. When they grow old, then the other young people can come in and it keeps itself going. My last words is…just Urban Arts is a safe place to me. When I hear Urban Arts, I hear safe place for youth to stay at, or to participate at. And it’s fun, it’s not one of the boring places that you go to, you can do many activities and you can just be yourself and whatever you do, everybody can see. 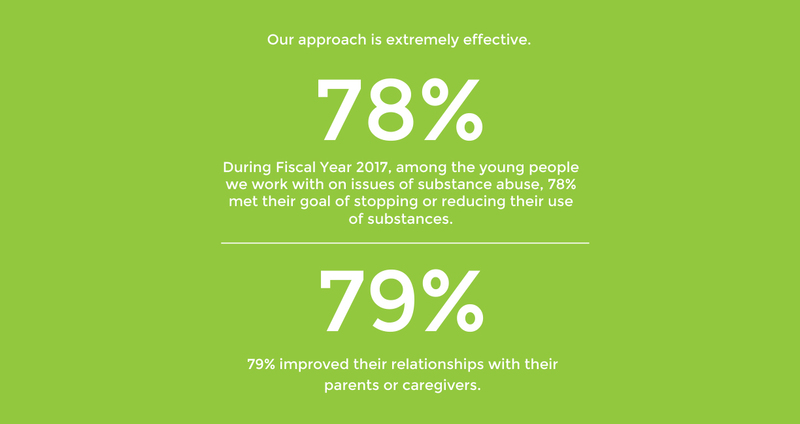 Alternatives’ approach to substance abuse prevention focuses on engaging young people in critically reflecting on their experiences and their surroundings. Both Girl World and MAVReC engaged in youth participatory action research projects related to substance abuse, and the different experiences of the participants led those projects in very different directions. The young men in MAVReC compiled and analyzed their own original research in the form of case studies of substance abuse from their own lives and those of people they know within their own community. This led to an analysis of root causes of substance abuse including, but not limited to, poverty, abuse, mass incarceration, police brutality, violence, trauma, lack of community investment, and lack of access to healthcare. They compared their findings with other academic research they found online and made presentations of their findings to Health classes throughout their school. In Girl World, their experiences related to substance abuse were more focused on how it can be used as a coping mechanism for a range of challenges. They began exploring healthier strategies for self-care, including some types of teas and essential oils. They found these healthier alternatives to be so effective that they wanted to share this information with their peers and create a social enterprise to help other girls use them too. They developed a business plan and visited multiple health-focused small businesses to learn what it takes to be successful. Alternatives’ substance abuse prevention work also includes youth-led Communications Campaigns within two high schools. 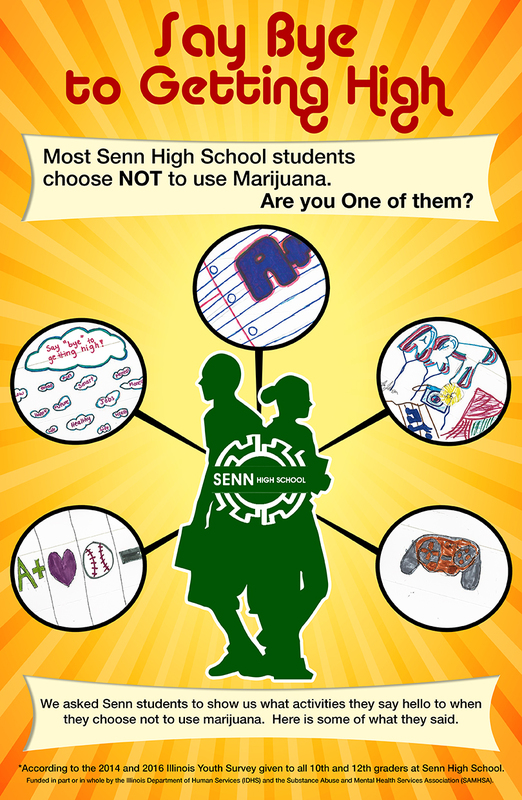 Students from Senn High School created a campaign poster that focused on the harms of marijuana dependency. These students wanted to encourage their peers to think about alternative ways for having fun without using a substance. These highly analytical and creative projects bear little resemblance to the D.A.R.E. model of the 80s and 90s or its broadly recognized slogan — “Just say no”. When young people have the space to reflect on their experiences and think critically about their surroundings, the richness of the content and the skills they develop are a much more compelling deterrent to substance abuse. and reflect on their own decisions. The specific evidence-based practice that Alternatives uses acknowledges that a young person’s environment and supportive relationships are both of huge importance. This model, called the Adolescent Community Reinvestment Approach (A-CRA), places a significant emphasis on young people connecting in a positive way with friends, family members, and the broader community, using those supports to address the needs that they had been treating with substances.